Provide comfort for the family of Mrs. Teresa Leo with a meaningful gesture of sympathy. 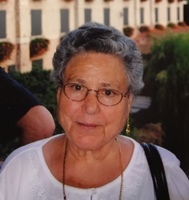 LEO, Teresa - Mrs. Teresa Leo passed away peacefully, with her family by her side at the Guelph General Hospital on Saturday, March 16, 2019 at the age of 82 years. 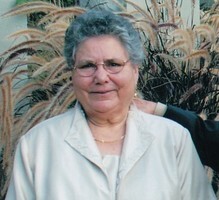 Beloved wife of Agostino Leo for 62 years. Loving mother of Domenico, Vittoria (Stanley) Piaseczny, Salvatore "Sam" all of Guelph, Assunta "Susie" (Robert) Tempelman of Michigan, Antonio and David (Mary) of Guelph. Cherished Nonna of 7 grandchildren and 2 great grandchildren. Dear sister of Giorgio Rao of Guelph. Predeceased by her siblings Domenico, Francesco, Fortonato, Vincenzo, Antonio, Salvatore and Stella. You would always find Teresa out in the garden, soaking up the sun or in the kitchen. She always had an extra seat or more at the dinner table. The family is very grateful for all of her support workers throughout the years. Teresa was a strong woman who fought hard. Resting at the Gilbert MacIntyre and Son Funeral Home, Hart Chapel, 1099 Gordon Street, Guelph on Monday, March 18, 2019 from 7-9p.m. and on Tuesday, March 19, 2019 from 2-4p.m. and 7-9p.m. A vigil for Teresa will be held on Tuesday at 3:30p.m. Funeral mass will be held at Sacred Heart Church, 98 Alice Street, Guelph on Wednesday, March 20, 2019 at 10a.m. Entombment at the Our Lady Immaculate Mausoleum, Marymount Cemetery, Guelph. 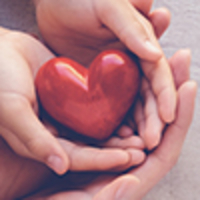 Memorial donations to the Heart and Stroke Foundation or to the Drop-In Centre would be appreciated by the family. Online donations and condolences can be made at www.gilbertmacintyreandson.com. We encourage you to share your most beloved memories of Mrs. Teresa Leo here, so that the family and other loved ones can always see it. You can upload cherished photographs, or share your favorite stories, and can even comment on those shared by others. Theresa & Antonio, Tony, Enzo and Frances, Your Schavey Family, and others have sent flowers to the family of Mrs. Teresa Leo. Sincere condolences to you and your family, Vicky. In memory of Zia Teresa.